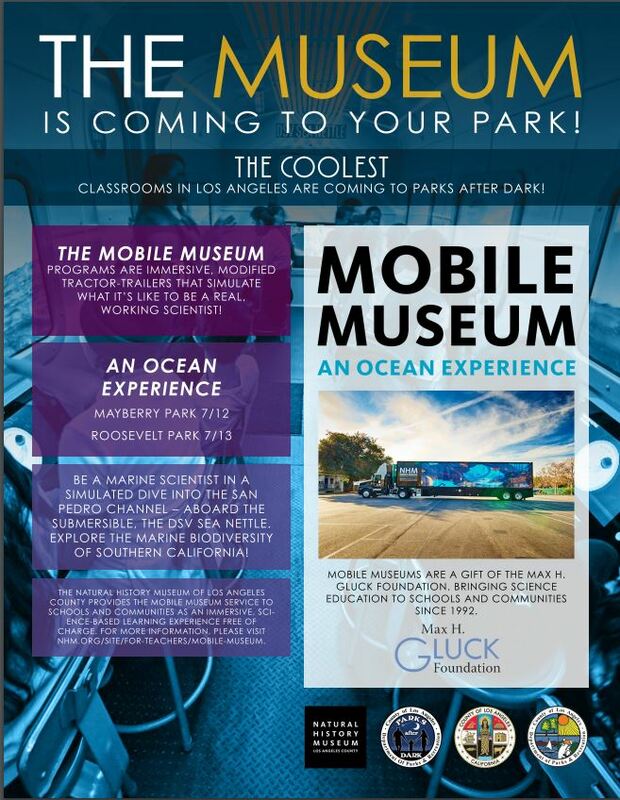 The Natural History Museum of LA County’s Mobile Museum: An Ocean Experience is visiting Parks After Dark! Aboard the Mobile Museum, participants experience a simulation of a human operated submersible within the San Pedro Channel! Come to your neighborhood park and take a deep dive with bilingual Museum Educators to learn about the biodiversity of our Southern California coast. We will also have Museum Educators and Museum Scientists there to show off museum specimens and talk about urban wildlife and how you can get involved in local research.